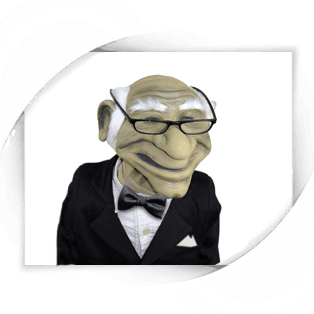 Abner, the old man puppet comes either dressed or undressed. The puppet comes with a latex head and hands. 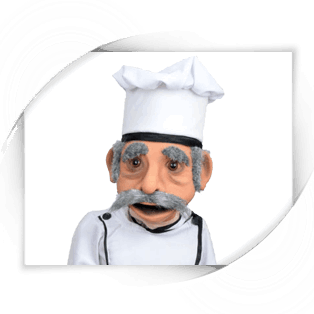 Abner can easily become a custom puppet for your show with a few offered extras; you can order him with punched hair, brows and/or facial hair options. 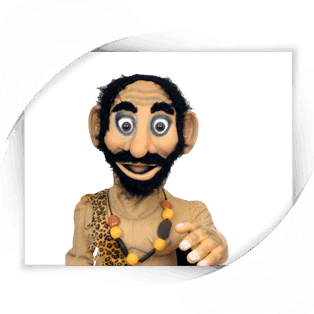 The standard puppet comes loaded with professional features, it is 36″ inches tall and comes with posable fingers. This puppet comes with a custom carry bag at no extra charge. 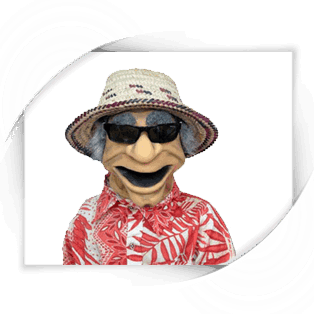 As always, we love to customize our puppet to fit in your show. If you have any ideas that will help make any of our puppets truly yours, just drop us a line. We can generally make it happen for you. Thanks again and happy shopping.